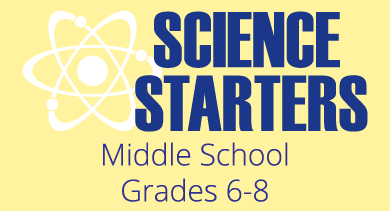 In an effort to inspire students to pursue STEM careers and interests, "I Heart My Science Career" highlights a person with a career in the sciences. Today's Scientific Minds interview is with Debie W. Blair, Food Scientist. SM: What is your current job title and where do you work? Debie: I work at Mondelēz International and my official title is Senior Scientist, but I am the Lead Product Developer for OREO Flavors in North America. SM: Tell us a little bit about your childhood. Was there anything that you were drawn to that made you feel like you wanted to be a scientist when you grew up? Debie: I am from a very small town in Northeastern Pennsylvania. Growing up surrounded by so many cows and farms, you would think that I would naturally be drawn to some aspect of agriculture, but that was not the case. We didn’t live on a farm, so it was not something I was accustomed to. We did live deep within the woods though, and I was familiar with things like dirt-biking, fishing, hunting, and hiking. In school, I always preferred math and science over history and English classes. As I continued through high school, I competed in Science Olympiad and Envirothon (and won some medals too! ), greatly solidifying my interest in the sciences. SM: What is your education background? What degree(s) or training did you receive? Debie: I have two degrees in Food Science, bachelors and masters, from Penn State University. SM: What inspired you to choose your college major? Debie: I always knew I wanted to major in one of the sciences. 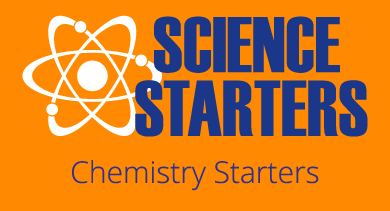 My favorite class in high school was Chemistry, so initially I was going to choose either Chemistry or Chemical Engineering as a college major. Not until the summer after my junior year did I finally choose to major in Food Science. During this time I had the opportunity to attend the Pennsylvania Governor’s School for the Agricultural Sciences, where I was introduced to the major. We had a few classes about nutrition during the summer, and I fell in love with it. SM: What has been your career path since you completed your degree (first degree if more than one)? Debie: At Penn State, I completed both my degrees together, receiving my bachelors and masters in five years. After graduation I joined Kraft Foods (which eventually became Mondelēz International) as a Food Quality Specialist. I spent two years in Quality, where I had hoped to spend the bulk of my career. However, plans changed, and I transitioned into a Product Development role, spending the past four years making cookies, working specifically on the OREO brand. The change from Quality to Product Development definitely threw me for a loop, but I’m very happy the opportunity presented itself, and I have learned a lot along the way. SM: Have you made any changes in your original career path? If so, why? Debie: In addition to my work at Mondelēz International, I also teach part-time at a local university in the Department of Nutrition and Food Studies. I absolutely love teaching at the collegiate level, informing students from undergraduate freshmen to graduate level about the food we eat. Becoming an adjunct professor was not part of my original career path, but it’s something I have a lot of passion for and it keeps me on my toes. To make sure I am the best professor I can be, I actively remain in tune with current topics in food and nutrition; I want to provide the best educational experience for my students while incorporating my real life experiences from within the industry. SM: How did you find your current job? What job-hunting resources did you use? Debie: As an undergraduate at Penn State, representatives from multiple food companies would come to our school (and the Food Science Club) to recruit students for summer internships. I started working for Kraft Foods as an intern (three summers in a row), and finally after graduation I was offered a full time position. SM: Describe a typical day at work. Debie: A typical day at work varies depending on whether I’m in the office or in the bakery (plant). When in the office, I spend time in meetings with the business team discussing projects and plans for the future. I also create and modify formulas in our system when necessary, and document any experiments or benchtop work we have conducted for our product. When working at the plant, we spend most of the time on the floor supervising the production of our cookies. We ensure the formulas and mixing procedures are correct, the ingredients are proper and fresh, and we monitor the baking, crème deposit and packaging to ensure all quality parameters are met. If necessary, we get our hands dirty and help in the production itself, especially during trials when we are running a brand new product for the first time. Debie on a brainstorming session, touring New York City and tasting baked goods. SM: What parts of your job do you enjoy the most? Debie: I love creating. It can be frustrating when you don’t get it right the first time. Or the second, or the third. But the joy in people’s faces when they finally taste your product (and love the taste!) is the best feeling in the world. This has even spread into my daily life where I spend more and more time cooking and baking at home, playing around with recipes and flavors for fun rather than for work. SM: What parts of your job do you enjoy the least? Debie: Traveling. People think traveling for work is glamorous, but sometimes it’s far from it. Our plants and bakeries are not in New Jersey (where my office is), so whenever we need to start up production on a new product, we have to travel to Ohio, Oregon, or even Mexico to make that happen. It was easy when I first started fresh out of college because I loved being a jet-setter, but once I started paying attention to how much weight I was gaining from eating out all the time and how much time I was spending away from my friends and family, I didn’t love it so much. But it’s an important part of the job to see that we’re successful! SM: What is the coolest project you have worked on and why? Debie: Red Velvet Oreos! It was such a unique project because the new red cookie was the first time we had changed the cookie since Golden OREO (before Red Velvet, we only had an option to be on a chocolate cookie or the vanilla cookie). I felt honored to be the one to work on the formulation of the new cookie, and to continue to see the product on store shelves today is amazing. Debie with her first product. You can see how excited she is! SM: What career advice do you think high schools and colleges should be giving students? Debie: The biggest piece of career advice that students need to receive is that you can always change your path! We get stuck in this idea that we go to school to receive a degree in a specific major. Then we must use that degree to get a job in that same major. Then for the rest of our lives we must work in that chosen field. That’s a lot of pressure for a 20-year-old! However we can make them realize it, students should learn that what they decide on now is not the end-all be-all. Everything you do now does not go to waste if you decide to change majors or careers… you will always be learning something applicable. And if you aren’t learning something, then you aren’t paying enough attention. SM: What is the salary range for people in your career? Debie: Salary range can depend on the specific field within the industry, as well as the company and type of degree you have. Based on what I know, salary ranges from around $50k to $100k+, of course those with more experience are the ones with the six-figure amounts. SM: What were some of the obstacles you had to overcome in receiving your degree(s) and pursuing your career path? Debie: In one word--curveballs. I have been thrown so many curveballs and changes in direction that I wouldn’t have been able to handle if I were a different person. But over the years I’ve grown accustomed to change and now view it as the norm. In college, my thesis topic changed three times before landing on my final project. And as I stated before, what I thought would be my career (Quality) soon became a memory. Although at the time, these curveballs were seen as obstacles, everything worked out in the end… as I always believe it will. 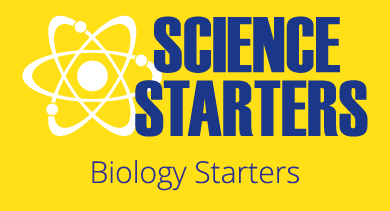 SM: What advice do you have for students considering a career in the sciences? Debie: My advice to students is always to go with the flow. Of course you want to choose something that interests you, but more times than not, life happens. Why worry about things that you have no control over? You should have an ultimate goal (e.g. I want to be a Dietician) but if it takes you six years instead of four, don’t get upset… just go with the flow. SM: Do you have any additional comments? Debie: Take advice, but always listen to your gut. People (even your parents) may not support what you believe, but you are the only one who knows what’s best for you. Is there a science career you would like to learn more about? Leave us a comment, and we'll plan an interview! 1. There are abundant and diverse career opportunities that are not typically presented to them as science careers. 2. People just like them, with similar backgrounds, are working in these jobs. 3. Careers often take exciting paths that couldn’t have been predicted when choosing a science major or graduating with a specific degree in science. The world of science is ever-changing, and so are jobs that involve science. 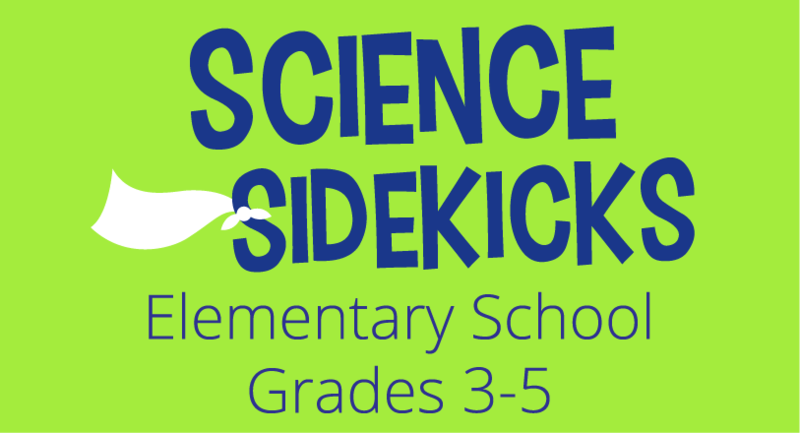 Check out the Science Sidekicks (grades 3-5), the Science Starters (grades 6-8), Biology Starters or Chemistry Starters with a Free Trial! HOW did I not think of applying for THIS job sooner? Sharing with my students ha! To receive email notifications, enter your email address and click subscribe.We will never share your information.